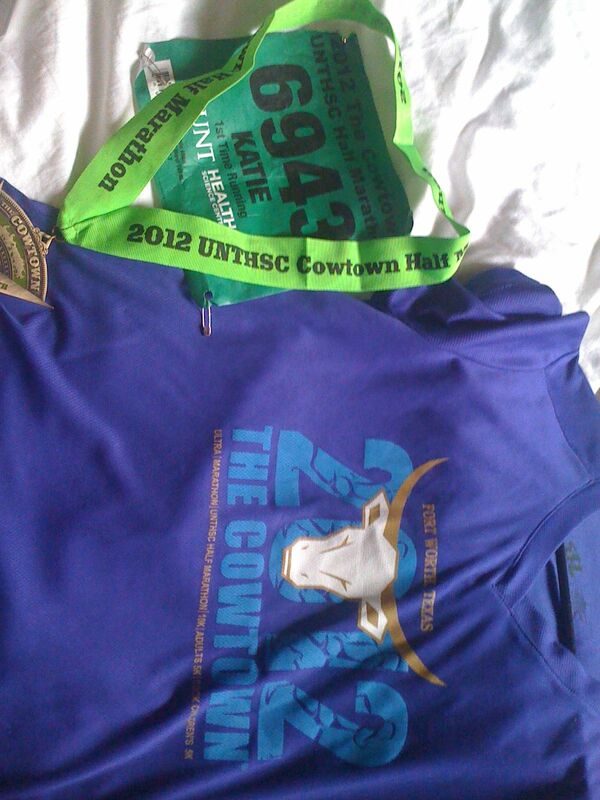 So this past weekend I ran a half-marathon here in Fort Worth, the Cowtown 2012. It was a blast and I look forward to doing it again next year! 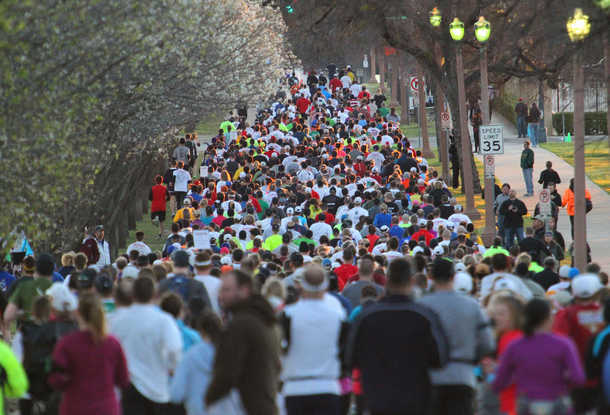 I ran it with a friend and we had a great time watching other runners, talking and taking in sites of the city that we normally drive past quickly. We ran through the art district, around the West 7th district, through the Stockyards, up main street into downtown and then back to the art district. It was beautiful day and I completed with a personal best of 2 hours 23 minutes. My bib (#), finishers medal, and finishers shirt. 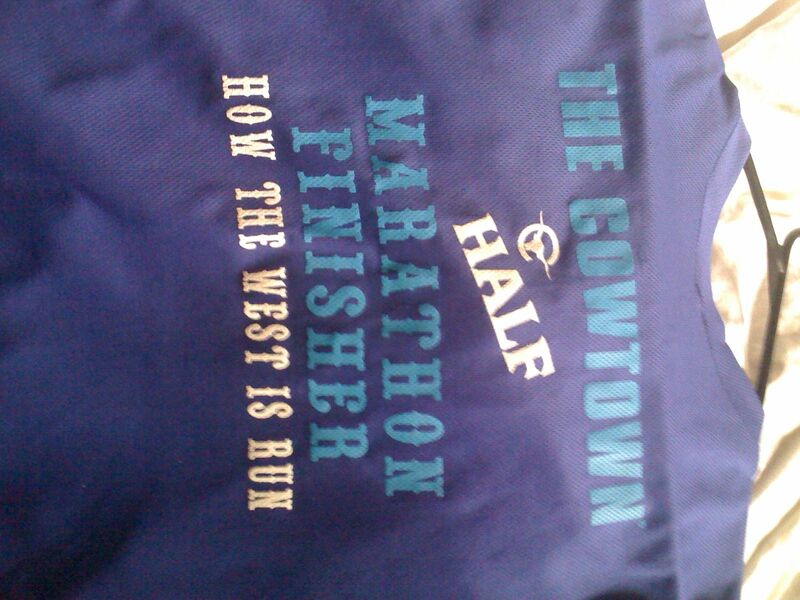 the back of my finisher's shirt...pretty cool! 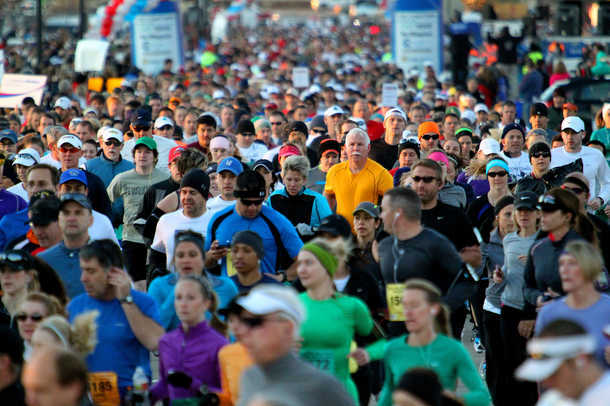 This year’s Cowtown race had a bit of a hickup in the Marathon race. The winner (the man who crossed the finish line first) was almost immediately disqualified because he had not officially registered for the race. Here’s the article from the Star-Telebram. Here are some other amazing pictures from the race that day (I did not take any of these btw). 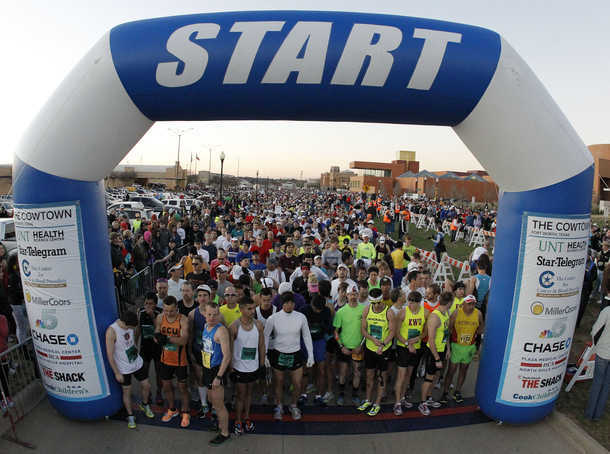 The start line...those guys are ready! 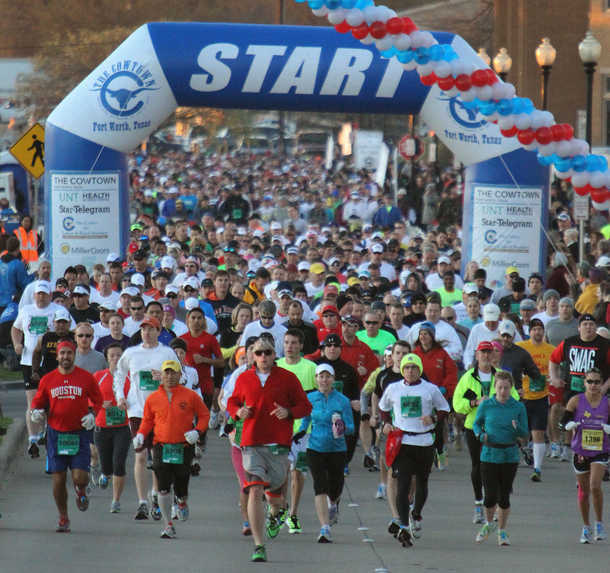 There were thousands of participants! 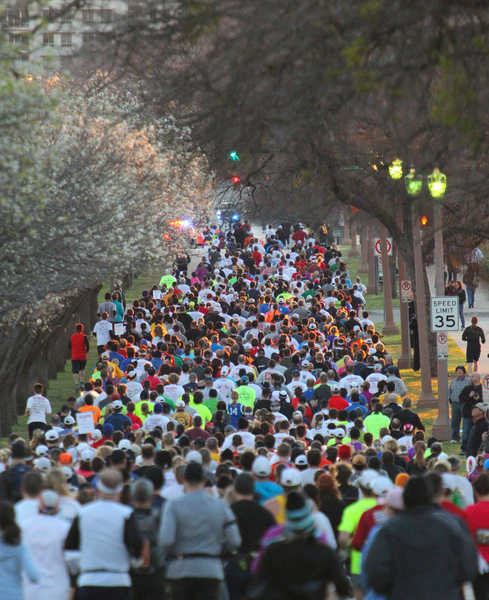 It was amazing to run with so many people!